Nearly one in four adults—or 57.7 million Americans—have a mental health disorder and need help. In Los Angeles, in desperate need of psychiatric services, yet there are too few available resources and outlets for treatment. Hospital emergency rooms have become ground zero for psychiatric patients in need of help—providing only temporary intervention at great expense. Recently, community leaders and healthcare providers gathered to discuss plans for the Martin Luther King Jr. Psychiatric Urgent Care Center, a new facility that is expected to open next spring. The center will provide prompt, quality and culturally sensitive care to both adults and teens. The center will be run by Exodus Recovery, Inc., which has been providing psychiatric and chemical dependency treatment services in Southern California since 1989. The organization has developed and established several hospital-based inpatient and outpatient programs, a psychiatric and internal medicine provider group and a behavioral health managed care company. Although there is an emphasis on serving the indigent and Medi-Cal patients, no one will be turned away. Anyone over the age of 13 will be accepted, however, adolescents who are admitted will be housed upstairs and adults downstairs. The approach to helping patients will be all encompassing, with psychologists, social workers, nurses, case workers and housing specialists on hand to help people get back on their feet. In addition, the center is expected to have strong ties to community centers, faith-based organizations and housing resources to continue offering services to those in need. Homeless and recently released from prison in 2011, Blair Martin knew she needed a big break to get back on her feet. Little did she know that her opportunity would happen so near her hometown of Compton. Martin had worked all sorts of jobs that were either short lived or uninspiring — like driving a truck for her uncle’s now defunct trucking business or manning a cash register at McDonald’s for eight dollars an hour. So when she was given a chance to interview for a spot on the construction crew of the new MLK outpatient center in Willowbrook, she jumped at it. The 23-year-old knew she had to make a good impression at the interview and prove that despite her past, she was ready for new future. Martin convinced the hire ups at Sharpe Interior Systems that she wanted a career—not a job and her enthusiasm, broad smile and willingness to work were persuasive. She was hired. Martin is one of nine women on a crew of more than 130 working on the construction of the MLK outpatient center. When it opens in 2014, the center is expected to provide state of the art outpatient care including primary, specialty and urgent care for those not needing an overnight hospital stay. Martin benefitted from the local worker hiring program, which Los Angeles County Board of Supervisors Chairman Mark Ridley-Thomas has championed on all construction projects in the Second District and the county. On most county jobs, at least 30 percent of the workforce must come from the area and some must be “disadvantaged local workers” meaning that they are homeless or parolees, like Martin. It is not an easy job. The days are long and arduous. Her shift begins before 6 a.m. On any given day, Martin, like the men on the job, carries wooden beams and 12-foot-long sheets of wallboard; saw dust and fine particles of dirt swirl in the air, covering the skin in a dusty film. The constant noise from saws, hammers and drills is deafening. Paying attention to her surroundings is key—there are holes in the ground, people walking around with long steel beams and dangling wires everywhere. Larry Shufelt, the general foreman on the project who hired Martin, estimates that only 1 out of 5 apprentices make it through the end of the three-year training program to become journeyman-or a full union member. For Martin, much is at stake: a new life. So, while her new career is tough, it has provided a new path and Martin has embraced it fearlessly, said Shufelt. But in order to climb, she needed a custom made harness for her petite frame. When the order was placed, Shufelt’s boss asked if Martin was worth the investment. Congratulations to Yolonda Simmons, winner of our Martin Luther King, Jr. Community Hospital street naming contest. For more than two months, hundreds of people voted on a name for the new street leading to the hospital, and Simmons’ entry, “Healthy Way, ” beat out 57 other contenders. In gearing up for the opening of the brand new Martin Luther King, Jr. Community Hospital, Supervisor Mark Ridley-Thomas invited county residents to come up with a name that would capture the spirit of the new medical center and encompass the goals of the surrounding community. Simmons found out about the contest after reading Supervisor Ridley-Thomas’ monthly newsletter. Nearly 800 residents took part in the online voting process , and Simmon’s is quick to note that her victory was not accomplished alone. When she told her husband that she had entered the contest, he began a social media campaign using Twitter and Facebook to support his wife’s entry. Chairman Ridley-Thomas noted that Simmon’s entry, Healthy Way, is much more than a street name. On the 84th anniversary of Dr. Martin Luther King, Jr.’s birthday, plans for the new Martin Luther King Jr. Community Hospital campus received a thumbs up from the Board of Supervisors, as they unanimously approved the master plan for an expansive health and wellness campus in South Los Angeles. The MLK campus will be at the heart of a web of community wellness resources. It recommends not only expansion of the new hospital and existing Multi-Ambulatory Care Center, but it also urges a new mental health urgent care center, mixed-use retail space, medical office space, connected community gardens, safe pedestrian walkways and recreational facilities to promote wellness and physical activity, among other suggestions. A priority project for Board Chairman Mark Ridley-Thomas, the in-patient hospital is expected to be completed by 2013. The master plan was the result of a year-long community planning process, and was formed with the input of hundreds of residents, civic leaders, business owners and health care advocates. The master plans is a roadmap, not a hard and fixed requirement, but it seek to anticipate the future direction of healthcare and prepare for that new day. It also lays out a vision for the entire 142-acre Willowbrook community that surrounds the campus. Off campus, the plan envisions space for school-based health centers, mobile clinics, blood banks, and community health centers to support the work of the MLK campus and provide a more holistic approach to health care. 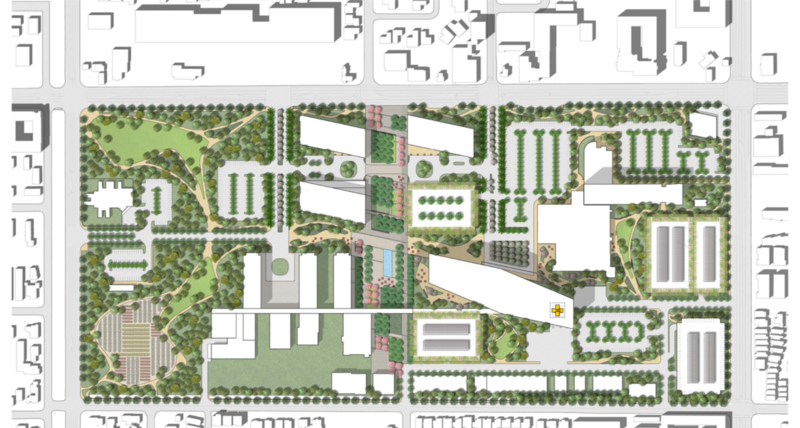 The plan recommends a new health park and a series of connected community gardens, safe pedestrian walkways, and recreational facilities to promote wellness and physical activity. It promotes access to healthier food options and includes space for retail. It also increases access to public transportation. Neither rain nor frigid temperatures could dampen the joy on 9-year-old Amauria Bowman’s face Friday night at the fourth annual tree lighting ceremony at the Martin Luther King, Jr. Multi-Service Ambulatory Care Center in Willowbrook. The fourth grader at Carver Elementary school was one of nearly 250 children that showed up to sip hot cocoa, eat sugar cookies and receive a toy for Christmas at the event hosted by Los Angeles County Board of Supervisors Chairman Mark Ridley-Thomas. As she snuggled into her warm jacket, Bowman reflected on the true meaning of the holidays. The gathering, which was also supported by Legrant Communications, served as a time of reflection in honor of the Newtown, Connecticut mass shooting where 27 people died—including 20 children. The Rev. Shane Scott of Macedonia Baptist Church, MACC Chief Executive Officer Cynthia Moore-Oliver and Elaine Batchlor, the Chief Executive Officer of the MLK Community Hospital joined Chairman Ridley-Thomas and the Grant AME Church Youth Choir at the event in addition to more than 100 adults from the local community. In his welcoming remarks, Chairman Ridley-Thomas noted that the tragedy put a spotlight on the importance of protecting children. 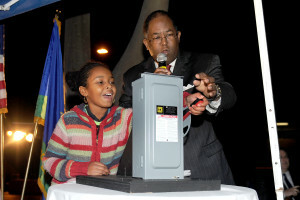 After a moment of silence and a prayer, 9-year-old Chryshell Perkins, a fourth grader who is also from the Watts-Willowbrook Boys and Girls Club, flipped the switch to light the tree. Perkins was selected for the honor because of her good grades. She smiled proudly and as she sipped her hot cocoa she noted how getting good grades would help her get into college. “If I get good grades and I don’t have enough money for college, they could pay my way,” she said, describing the possible scholarships that could be available to her. 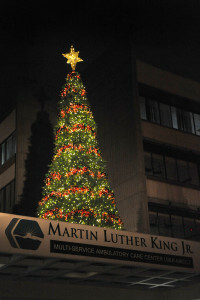 The lighting of the “Tree of Hope” also highlighted anticipation of the upcoming construction and eventual opening of the brand new medical campus that is coming to the site. The Medical Campus, which will host an inpatient hospital, mental health urgent care center, medical office space, residential facilities for seniors and medical interns and residents, will provide a more holistic and preventative approach to health care for local residents. “We signal hope and life and new beginnings at the Martin Luther King Medical Campus,” said Chairman Ridley-Thomas. But for 6-year-old Jonathan Eason, the night’s highlight was the Hot Wheels Trick Track stunt set that he received. “It looks awesome and has very cool cars!” he said as he held the box tightly. And while 12-year-old Karen Mendoza, of Edison Middle School, was happy to receive a Scrabble Slam card game to play with her siblings, her wish was a simple one for the holidays. “I would like for my family to get together and have a great time,” she said. The people have spoken! The street leading to the new Martin Luther King Jr. Hospital will be named “Healthy Way.” Healthy Way, proposed by Yolonda Simmons, received 370 out of 776 votes — a whopping 48%. In second place was Charles R. Drew Drive, with 202 votes, and King-Drew Avenue, with 56 came in third. 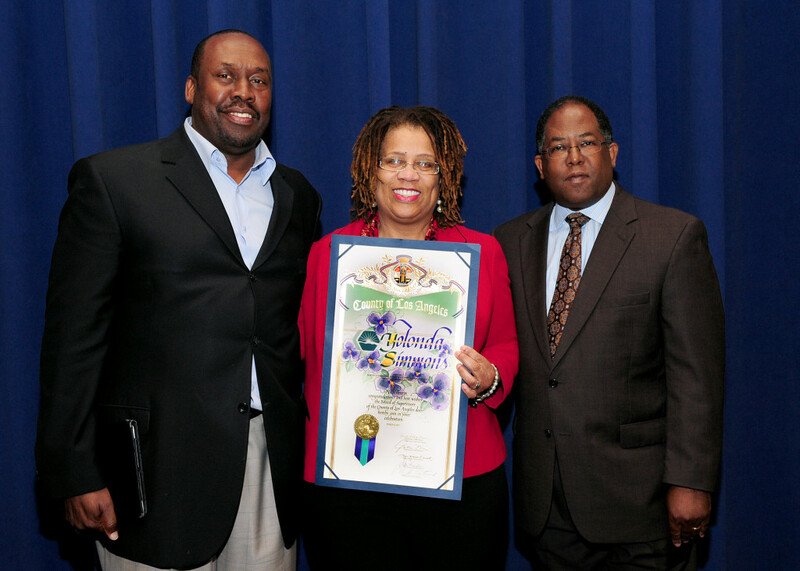 Congratulations to Simmons , a resident of Inglewood, for choosing a name that resonated with so many people. 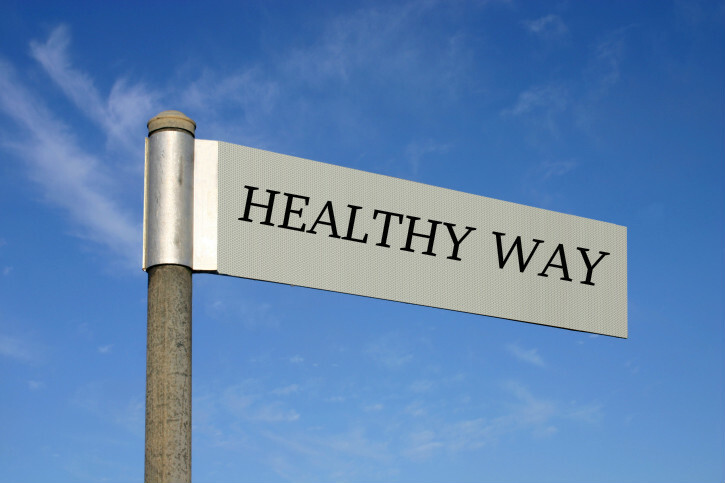 “Healthy Way” communicates that a person driving on the road leading to and from the hospital will be embarking on a healthier way of life. The street-naming poll spanned two months, and I was both pleased and moved to see so many people participating in the opportunity to name this historic street. 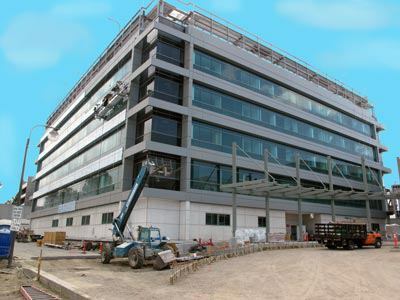 The construction and ultimate completion of the new hospital is proceeding well and is only three to four months off its original schedule with the building scheduled for completion in the Spring of 2013 and its opening, in 2014. A name can tell the history of a city or a nation. It can honor leaders who improved lives, fought for human rights, educated children, greened a community or inspired generations. 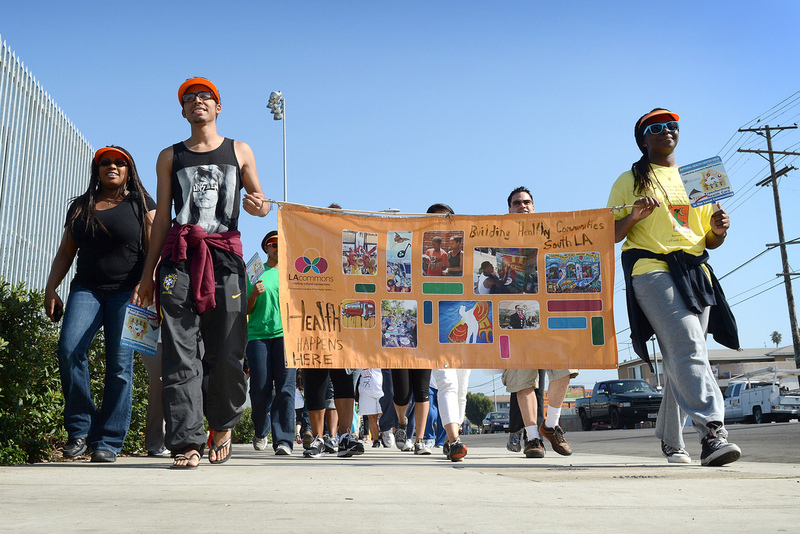 Martin Luther King Boulevard, Cesar Chavez Way, Pico Boulevard, Lincoln Boulevard—these names remind us that ordinary people do extraordinary things. Street names can also reveal the aspirations of a community. For example, Los Angeles residents living on Charity Street in the 1800s, found the name degrading. After successfully petitioning the city, they changed the name to Grand Avenue. So have some fun. Tell us what matters to you, your community and your hopes for the new hospital – In this context, that’s what is in a name. Supervisor Mark Ridley-Thomas released his top five choices on November 6 for a final vote by you. Click here for the rest of the rules and timeline. Entries will be accepted from October 1 to October 12. There is no limit to the number of suggestions that can be made. I believe that this hospital represents health and wellness in our community. Good health is about more than getting medical care, it’s a lifestyle. The street name Wellness Way will remind everyone that this hospital is committed to providing excellent medical services in the hopes of improving the health of our community. Rev. Ralph David Abernathy, Sr. was a passionate civil rights leader and minister. Honoring the spirit of the hospital, he was a close associate of Martin Luther King, Jr. in the Southern Christian Leadership Conference. Historic names and names that refer to geographic features are encouraged. Keep it short: Names can’t exceed 18 characters, including spaces and punctuation. After Phase 1 is closed, the list will be sent to the Department of Public Works to disqualify any names already in use by Los Angeles County. Supervisor Ridley-Thomas will select his top five choices and those names will be posted for a final round of voting. Voting will take place from November 6 through November 28, 2012. The top vote-getter wins. The winning street name will be announced and printed on street signs and road maps. The writer or writers of the winning submission will be invited to participate in the official street naming ceremony and be awarded a certificate of appreciation by the Supervisor. The new Martin Luther King Jr. Community Hospital and the newly renovated Harbor-UCLA hospital will be so much more than the old fashioned, traditional centers of medical services of previous generations. After a year-long community planning process, master plans for both hospitals are completed. Instead of fashioning two stand-alone facilities, plans are to have them be the heart of a web of community wellness resources. The hospital campuses will be at the center of a network that includes healthcare-related businesses, fitness centers, nutritional education and even housing. The master plans are roadmaps, not hard and fixed requirements, but they seek to anticipate the future direction of healthcare and prepare for that new day. The MLK Medical Center Campus Master Plan lays out a vision not just for the facilities on what will be part of the completed MLK medical village, but also for the entire 142-acre Willowbrook MLK Wellness Community that surrounds the campus. 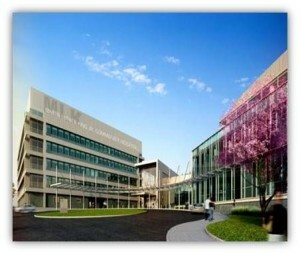 On campus, the plan suggests room for a new mental health urgent care center, medical office space, residential facilities for seniors and medical interns and residents, research and development, and health-related retail space, such as a pharmacy on the 42-acre MLK Medical Center campus. It also leaves room for the eventual expansion of the new hospital and new Multi-Service Ambulatory Care Center. Off campus, the MLK plan envisions space for school-based health centers, mobile clinics, blood banks, and community health centers to support the work of the MLK campus and provide a more holistic approach to health care. 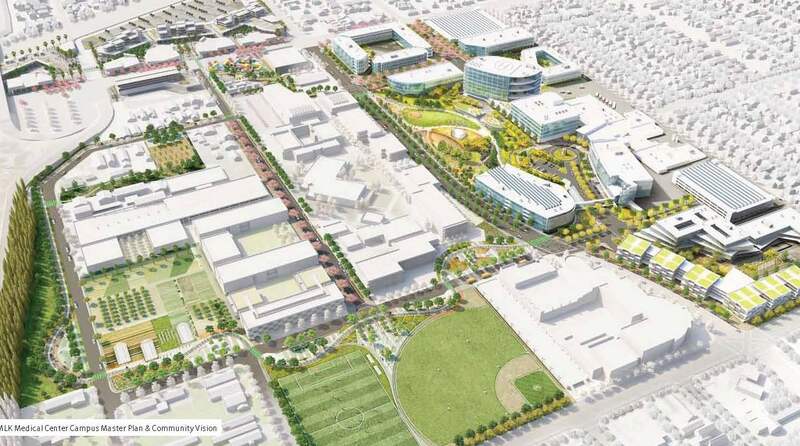 The plan recommends a new health park and a series of connected community gardens, safe pedestrian walkways, and recreational facilities to promote wellness and physical activity. It promotes access to healthier food options and includes space for retail. It also increases access to public transportation. Click here to download the Martin Luther King Jr. Medical Center Master Plan. 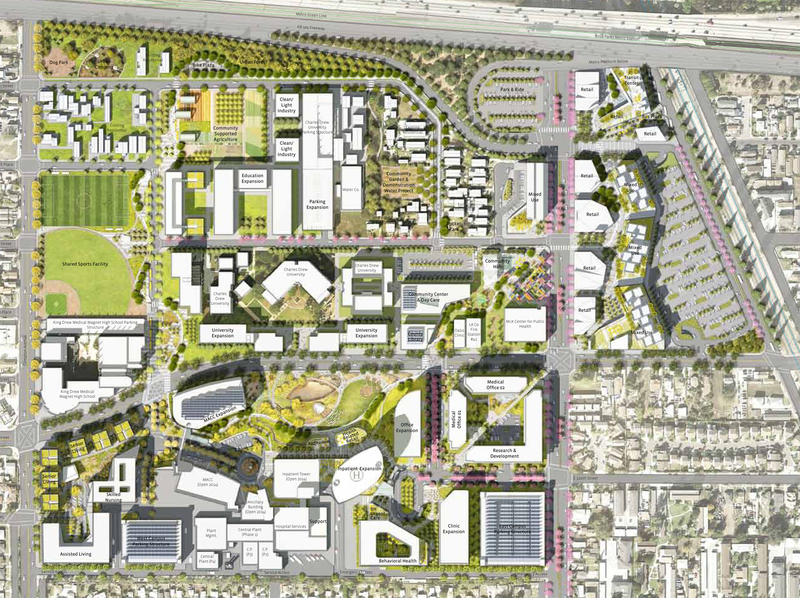 The 72-acre Harbor-UCLA Medical Center Master Plan substantially reconfigures the campus. It moves out-patient and mental health services into new buildings, adds hospital beds, adds new retail and improves campus parking. This plan suggests development of community walking paths, roof top gardens, and green open space for recreational community use. The plan also promotes the continued bioscience innovation already occurring on the campus through the County’s partnership with LA BioMed. 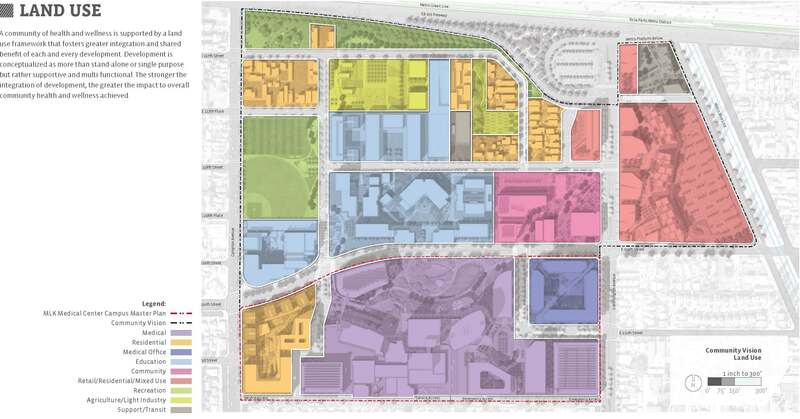 The County invested nearly $3 Million per campus to develop these long-term plans, which assess current conditions and propose a framework for future expansion of each site. The next step is implementation. Once the master plans are approved by the Board of Supervisors, anticipated to occur later this year, the County will determine how it will finance these exciting redevelopment opportunities over the next 20 years. 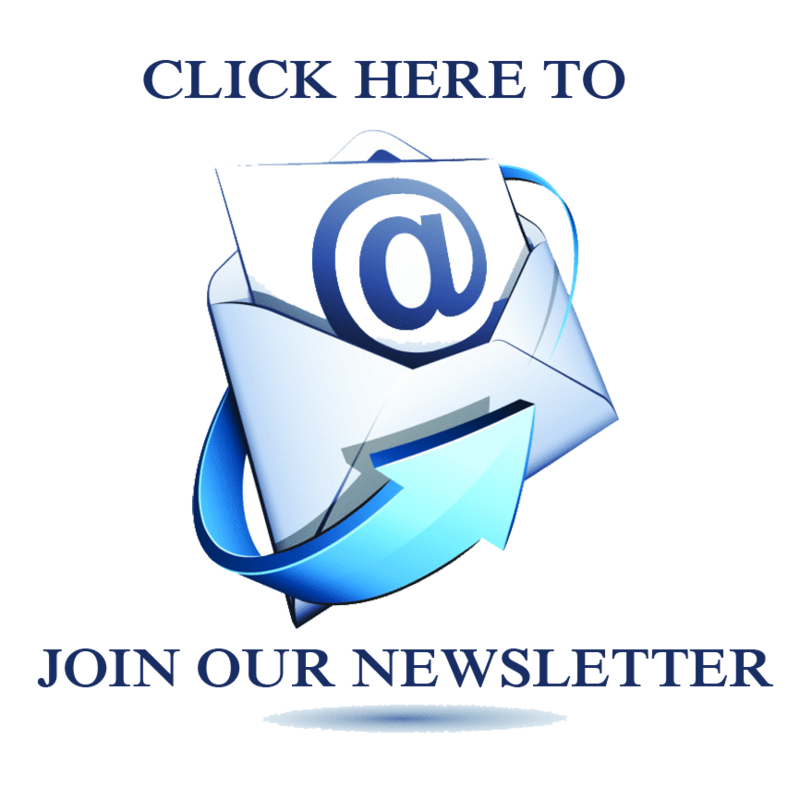 Click here to download the Harbor-UCLA Medical Center Master Plan.